Summer is coming!! It’s time to think about all those pool and beach days! 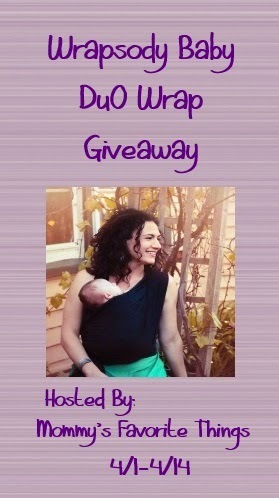 The Wrapsody WrapDuO is the perfect baby carrier for those hot summer days. It’s perfect to wear in the water, but it’s also a nice lightweight material, so it’s perfect even just for the hot weather days that lurk ahead! Wrapsody was kind enough to donate one to a lucky winner!! The review is over on Mommy’s Favorite Things blog. It’s such a wonderful carrier! These are also really nice to wear in the shower with a newborn to bathe them. It calms them and allows mom to get a shower in at the same time. Great product.